Enbridge Gas Distribution Inc. ("Enbridge") and Hydrogenics Corporation ("Hydrogenics") announced that the first major energy storage facility using hydrogen in North America is now operational. 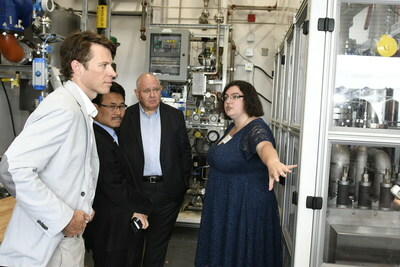 This facility features world-class technology developed and manufactured in Mississauga, Ontario by Hydrogenics and represents one of several projects selected by the Independent Electricity System Operator (IESO) of Ontario for energy storage to deliver power grid stability and reliability services. The site is owned and managed as a joint venture between Enbridge and Hydrogenics. Energy storage is viewed as an essential tool to reduce energy costs for Ontario consumers, and this project is using Ontario's world-leading technology to do so. Such applications are already deployed in Asia and Europe, but this is the first large-scale project in North America. The hydrogen produced can also be used for a number of purposes such as fueling cars and trains, and/or it can be blended into the natural gas system to offset traditional natural gas. Once this low carbon gas is injected in the pipeline it can serve multiple energy markets including building heating, heavy duty transportation fuels, and dispatchable power generation. This hydrogen-based facility is the latest example of Enbridge's investment in renewable and clean energy. The company also has three solar farms, three wind farms and a hydroelectric dam. In addition, Enbridge is developing electricity transmission in Ontario's north. "I've worked in the energy sector my entire career and this is one of the most exciting projects in which I've ever been involved. 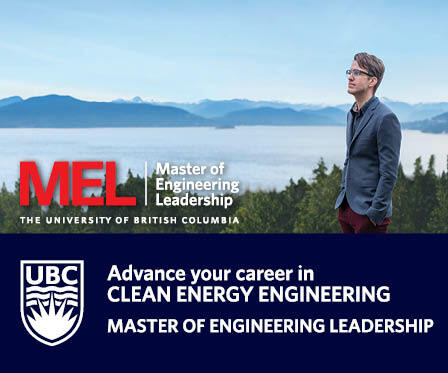 I'm proud to see a Canadian company leveraging world-class Canadian technology to solve current energy challenges. Today is a major milestone for Enbridge and Ontario's energy sector." --Jim Sanders, President, Enbridge Gas Distribution Inc.
"We are pleased that our strong relationship with Enbridge has resulted in successfully launching this ground-breaking Power-to-Gas facility in North America, where it will serve as another example of our advanced energy storage capabilities and provide the local IESO with a fast-responding resource to enhance the flexibility and reliability of operating the grid."